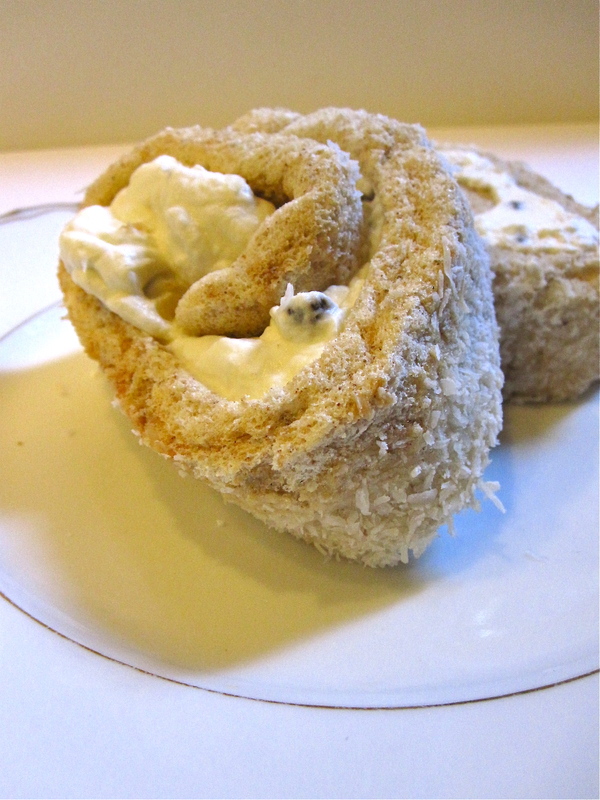 Cake rolls are annoying to photograph but undeniably delicious. – Wait…are those…cookies?! 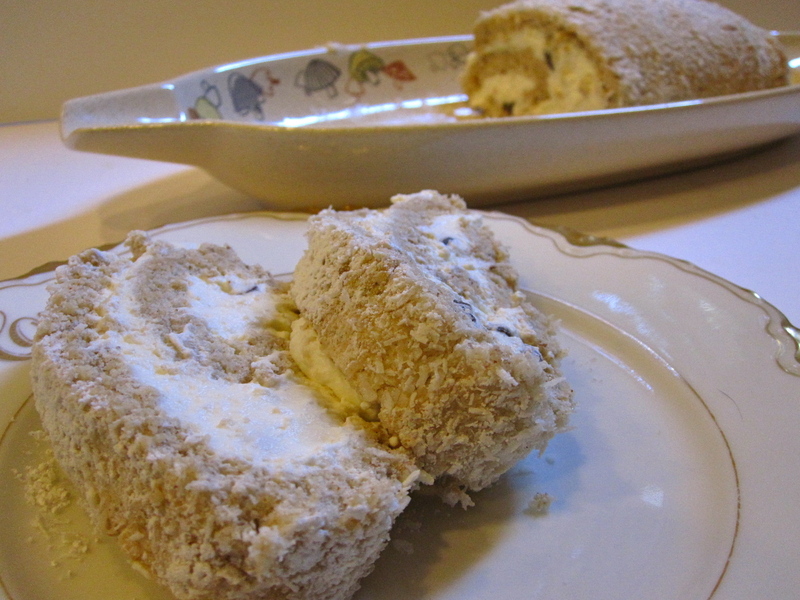 Cake rolls are annoying to photograph but undeniably delicious. Today and tomorrow I’m doing makeup for my elementary school’s play! I looove helping with the play—I’ve attended every year since I was in it myself, and I did makeup last year as well. The kids are adorable and so excited! And Mrs. Noel is hands down the most awesome director. EVER. Who else could wrangle that many children with such grace and humor?! This year, they’re doing Beauty and the Beast, which is awesome, since I was in that one in 5th grade (I was also in Pirates of Penzance in 4th)…. except today I realized as I was doing Gaston’s makeup that most of the kids in this show were born the year I was in the play. EEEEKKKK! Way to make me feel SO OLD. Okay really, I need to get onto a more regular schedule for this blogging biz… How is it that when I was in school and theoretically “busier” that I had more regular posts?! Whatever… I’ve been crazy busy and having lots of fun, so absolutely no regrets there. However. I’ve been intrigued lately by interesting flavor combinations, like the curry-chocolate chip cookies. When I was down in San Luis Obispo last weekend visiting friends, I made the curry cookies again, except this time with five spice! It was totally inspired, and sooo good. I think I may like those better than the curried ones, actually. There’s something about the coconut+five spice+chocolate that is really tasty. So, when I got home, I wanted to do something else with those flavors. But I decided, rather than making yet another batch of cookies (though we do know how much I love cookies), I would make a cake! 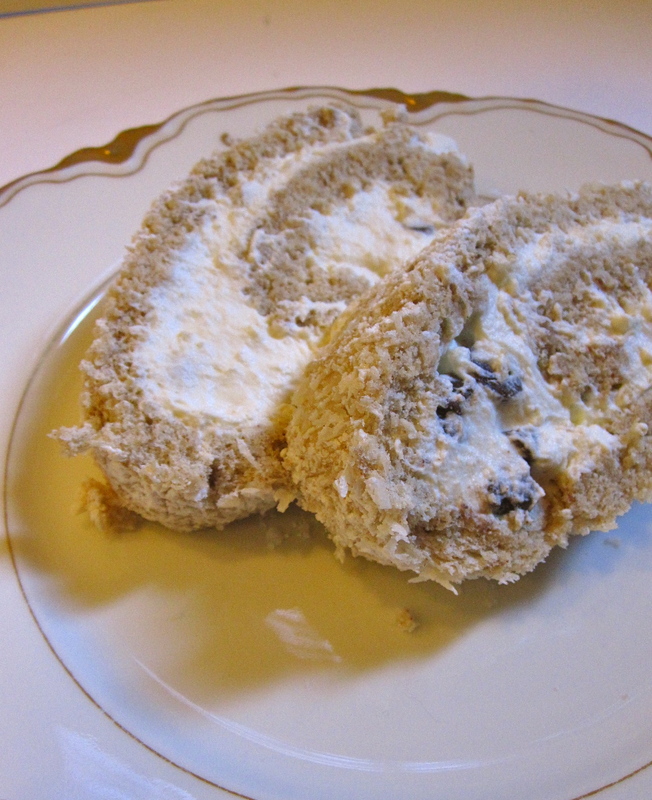 But not any cake, oh no… A cake roll! I’d actually never made one before this, so this was quite the novel experience… not as difficult as anticipated, with just a minor bit of cracking. No big deal, nothing that cleverly placed whipped cream can’t hide, ha. AND, added bonus: this cake is fat free! (the cake bit. Not the whipped cream, obvs,… gotta have a little indulgence in there somewhere!). Five spice is also reputed to have health benefits (though I’m not entirely sure what they are). mmm… five spice = new favorite flavor! I adapted the cake recipe only slightly from Cooking Light, and ignored their filling idea in favor of using whipped cream with chocolate chips folded in. The chippies got rave reviews from all tasting parties, since they add texture interest and go well with both five spice and chocolate. For the cake! Preheat the oven to 325, and line a 15 by 10 inch jelly-roll pan with waxed paper. No worries if it doesn’t come all the way up the sides. In a small bowl, whisk together flour, 6 tbsp sugar, and five spice powder. In a non-reactive bowl (I like to use the metal bowl from my kitchenaide), beat the egg whites with an electric mixer until foamy. Add in cream of tartar and salt, and beat until soft peaks form. 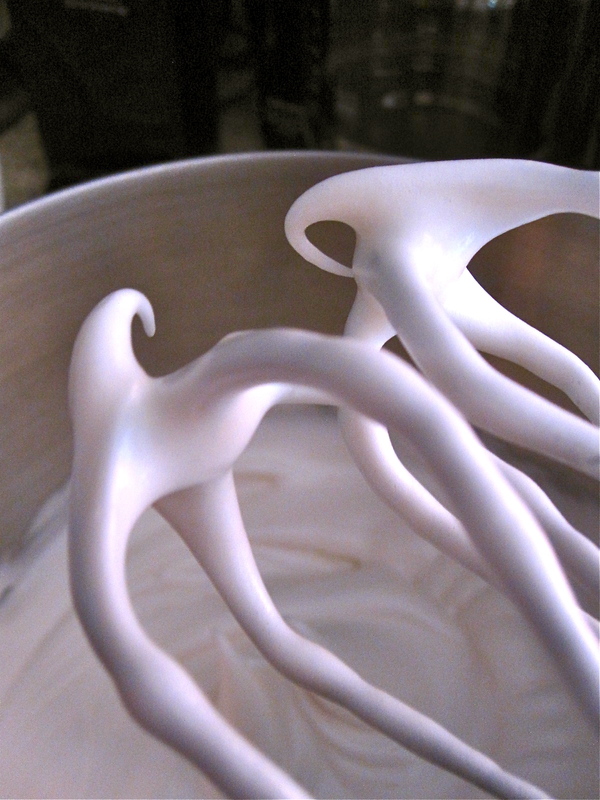 Add remaining 6 tbsp of sugar 2 tbsp at a time, and beat until you see stiff peaks when you pull the beaters out (beating egg whites might be one of my favorite things ever… I love how they change!). Once you have stiff peaks, quickly beat in the lemon juice, vanilla extract, and coconut rum. Sift 1/4 c of the flour over the egg whites, and fold in until combined. Repeat until all the flour is incorporated. Spread the batter out into the prepared pan, smoothing out the top. Sprinkle the top with coconut, and bake for 20 minutes, until lightly browned. The top should spring back when you touch it lightly. Place a clean (preferably relatively smooth, not really ribbed) dish towel over a largish cooling rack, and lightly dust with powdered sugar. Let the cake cool in the pan for about 3 minutes, then loosen the sides and invert onto the towel. Peel off the wax paper. Starting from the narrow end of the cake, roll the cake and towel up together in a spiral, and place seam side down on the cooling rack to cool completely. While the cake is cooling, make filling! 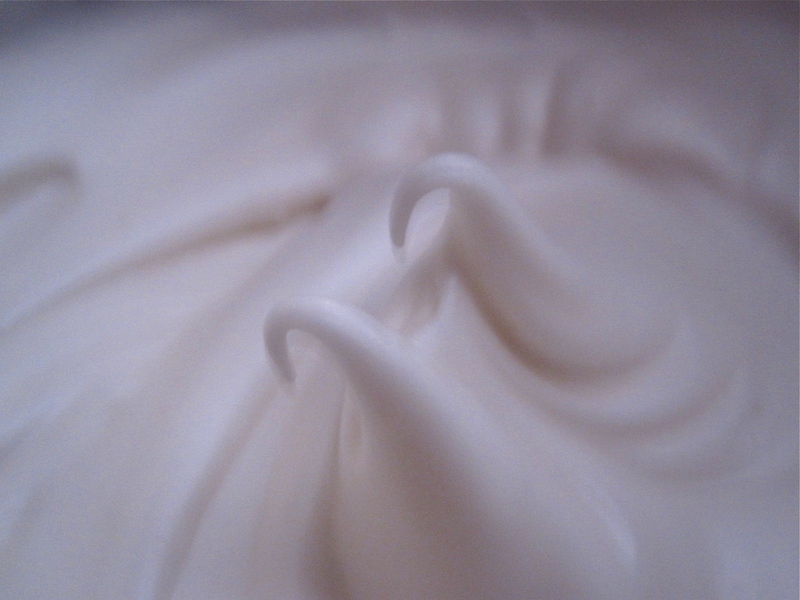 Using an electric mixer, beat cream until it starts to get a bit more solid. Add in powdered sugar a little at a time, as well as a little vanilla and rum (to taste, as desired! I probably used about 3-4 tsp of powdered sugar, 1/2ish tsp vanilla, and 1 tbsp rum—my measurements were definitely not exact… pour and taste is my preferred method for whipped cream). Beat until the cream is… creamy?! You’ll know when it’s done, just don’t go too long and turn it into butter! Fold in chocolate chips. When the cake is completely cool, unroll carefully from the towel. If it rips a bit, don’t freak out! Better luck next time, and you can disguise the rip with a bit of whipped cream, or else put the cake on it’s plate rip-side down, haha… and yes, I speak from experience! 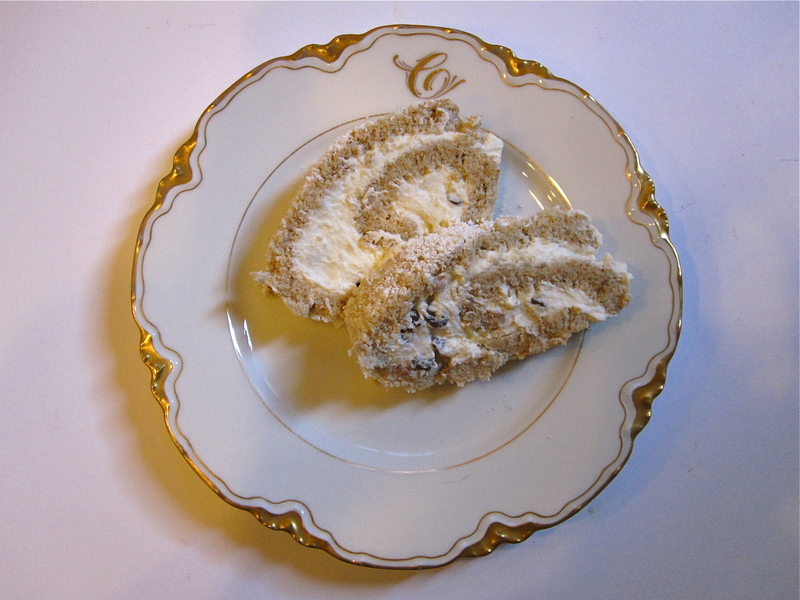 Spread the whipped cream filling evenly over the inside of the cake, and then carefully roll it back up. Sprinkle the top with a bit of powdered sugar or extra coconut if desired. Eat immediately or chill briefly, but make sure you keep it in the fridge for storage (if it lasts that long, ours didn’t!). Serrated knives work best for slicing and serving. Mmmm, I’ve been unsuccessful in my attempts at cake rolls. This looks so good. Great pictures too! I loved the photograph of the beaters almost as much as I loved the cake. Peppery spices with sweet flavor(s) is such an awesome combination!